George Beuoy is "The man that made capons famous," and I think he probably made a small fortune doing it. Beuoy sold caponizing information and caponizing tools. Judging from this booklet, he did a great job of encouraging and inspiring rural folks to tap into the profitable capon market that once existed in this country. This is not only an interesting and informative book, it's a lot of fun to read. You'll get Mr. Beuoy's autobiography telling how he started Dingley Dell Farm with pretty much nothing, and made a success of it (with the help of Mrs. Beuoy). 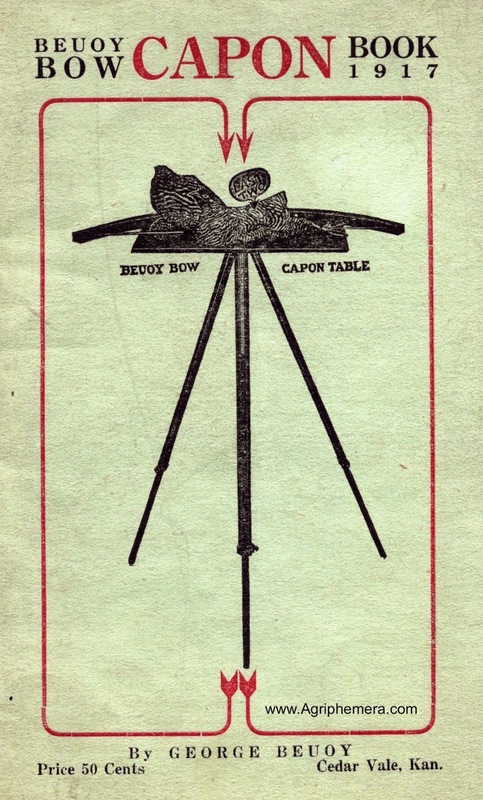 "Just a few years ago it was thought that only an expert could make capons and often he was not sure of the results. No wonder, with the instruments and methods in use in those days—it was all guess and no sure results. 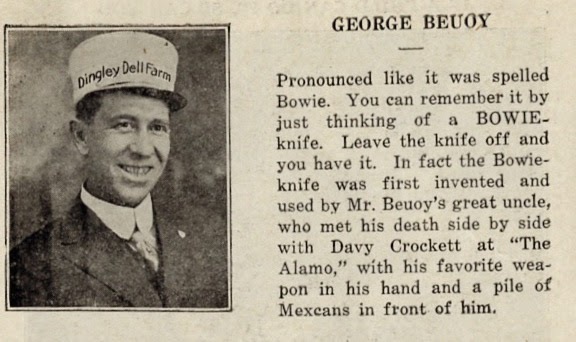 With the George Beuoy patent Tools and the 1917 method as invented by him, anyone can do it. In the seasons just past more than THIRTY-THOUSAND people have bought instruments direct from Mr. Buoy and have followed his plain instructions to complete success in the making and marketing of capons. These pupils of Mr. Beuoy's live in every state in the Union and most of the provinces of Canada. It is always possible now for Mr. Buoy to cite you to some one in your immediate neighborhood that is quite expert at making capons. No matter where you live he will gladly do this for you and the neighbor will no doubt be glad to show you exactly how it is done, and without cost to you in any way." You'll get caponizing how-to, caponizing testimonials, and a look at all the Buoy caponizing tools in this nifty 56-page booklet. 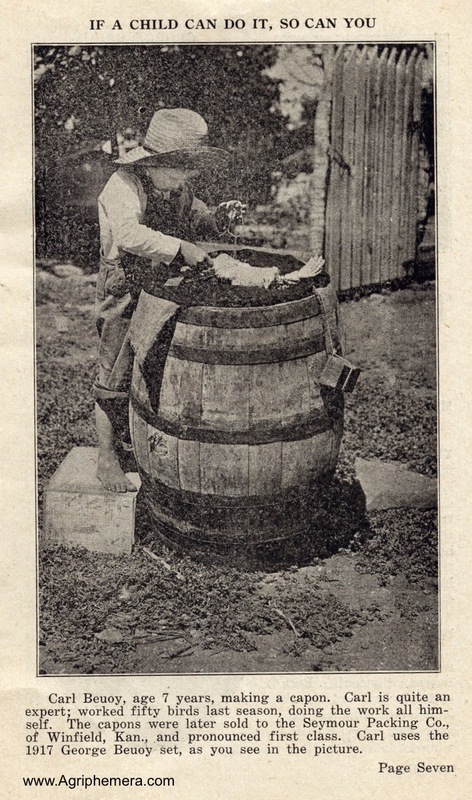 There are numerous photos and illustrations.